The State of Idaho provides an electronic version of all Idaho alcohol laws here. An electronic version of the Idaho Administrative Procedures (IDAPA Rules) can be found here. (a) Regulation of Liquor Traffic. 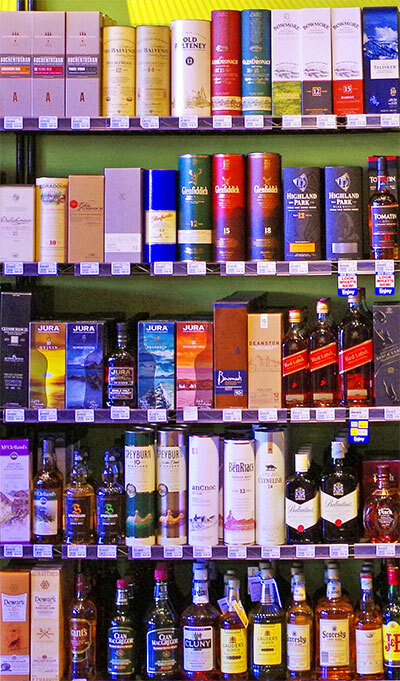 To permit, license, inspect and regulate the manufacture, importation, transportation, storage, sale and delivery of alcoholic liquor for purposes permitted by this act. (b) Traffic in Liquor. To buy, import, transport, store, sell and deliver alcoholic liquor, wine containing more than sixteen percent (16%) alcohol by volume, table wine, as defined in section 23-1303, Idaho Code, that is manufactured in Idaho, and sparkling wine. (c) Operation of Liquor Stores. To establish, maintain and discontinue warehouses, state liquor stores and distribution stations, and in the operation thereof to buy, import, transport, store, sell and deliver such other nonalcoholic merchandise as may be reasonably related to its sale of alcoholic liquor. (d) Acquisition of Real Estate. To acquire, buy and lease real estate and to improve and equip the same for the conduct of its business. (e) Acquisition of Personal Property. To acquire, buy and lease personal property necessary and convenient for the conduct of its business. (f) Making Reports. To report to the governor annually, and at such other times as he may require, concerning the condition, management and financial transactions of the division. (g) General Powers. To do all things necessary and incidental to its powers and duties under this act. The division shall so exercise its powers as to curtail the intemperate use of alcoholic beverages. It shall not attempt to stimulate the normal demands of temperate consumers thereof, irrespective of the effect on the revenue derived by the state from the resale of intoxicating liquor. The Idaho State Police Alcohol Beverage Control (ABC) Bureau ensures all establishments selling or producing alcoholic beverages, including liquor, beer, and wine are properly licensed and conform to the law. Idaho ABC is a separate agency from the Idaho State Liquor Division.